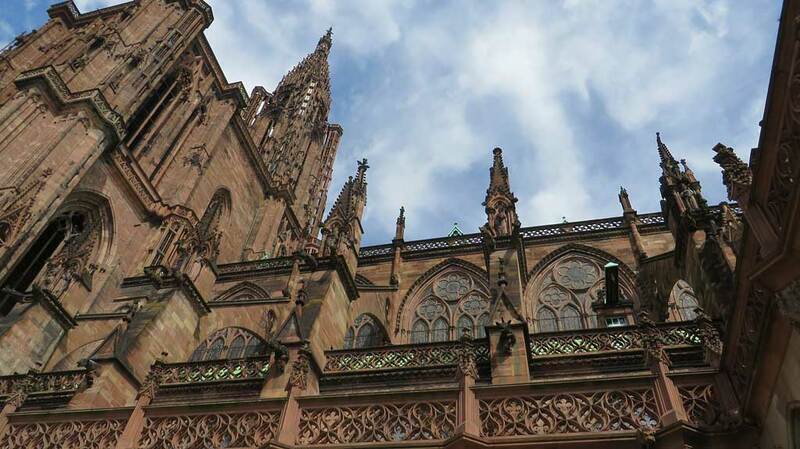 Visit Strasbourg Cathedral (Cathedrale Notre Dame de Strasbourg) in the heart of the Old Town. 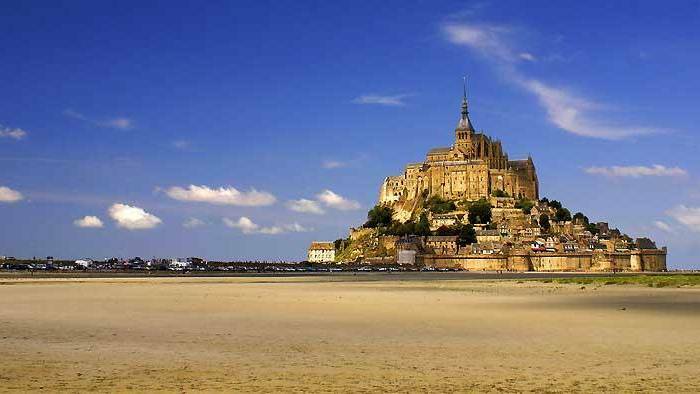 It was started in the 1200s and finished in the 1400s. It includes a large working astronomical clock inside the church and a large garish organ too. On the corner beside the church is the Maison Kammerzell, which has been in business as a hotel since the 1400s. Palace Rohan (Palais Rohan) is nestled between the Cathedral and the river canal. It houses the the Museum of Fine Arts (Musée des Beaux-Arts), the Archaeological Museum and the Museum of Applied Arts. Place Gutenberg is two short blocks from the Cathedral. Its statue honors of Johannes Gutenberg, who invented the printing press here in the 1400s. Place Kléber is a short stroll down Rue des Grandes Arcades from Place Gutenberg. This large open space has a statue honoring Jean-Baptiste Kléber, who led many successful military campaigns for Napoleon. The Tanner’s Quarter is at the western edge of the Old Town. 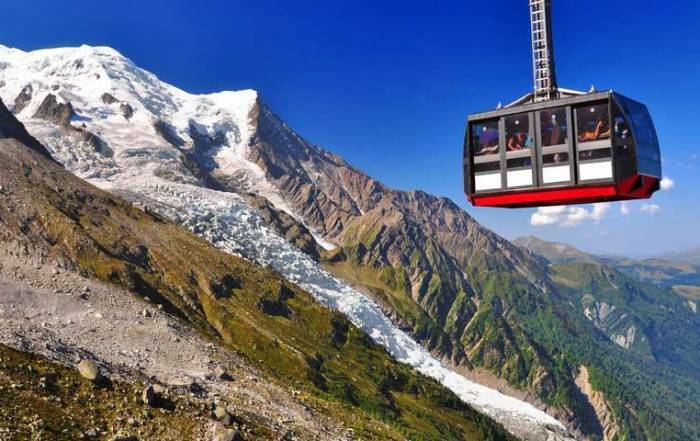 This area is called La Petite France. The weirs on the L’ill River here are known as the Barrage Vauban. 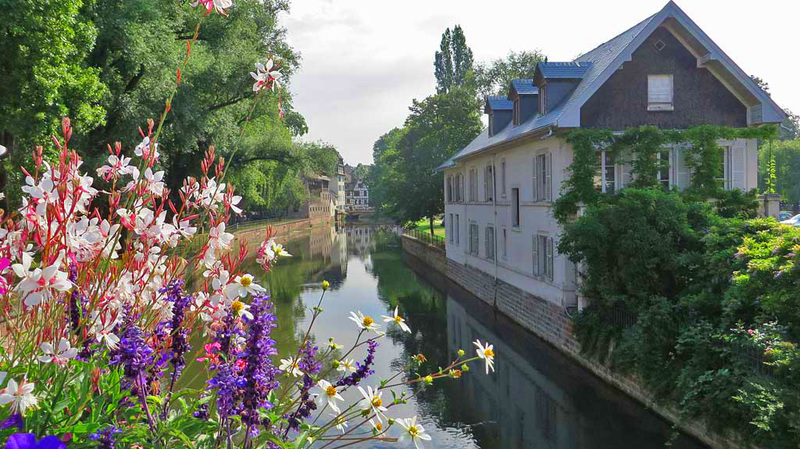 The bridges and towers of the Ponts Couverts, opposite the weirs, are very picturesque. Sauerkraut – fermented shredded cabbage. Flammeküche – thin crust pizza. Fleischnackas – meat rolled in egg pasta with green salad. Just outside the Old Town, to the northeast are church Saint Pierre le Jeune and the Palace of the Rhine (Palais du Rhin). The Palace is Prussian architecture. The Nazis took over the Palace during World War II. 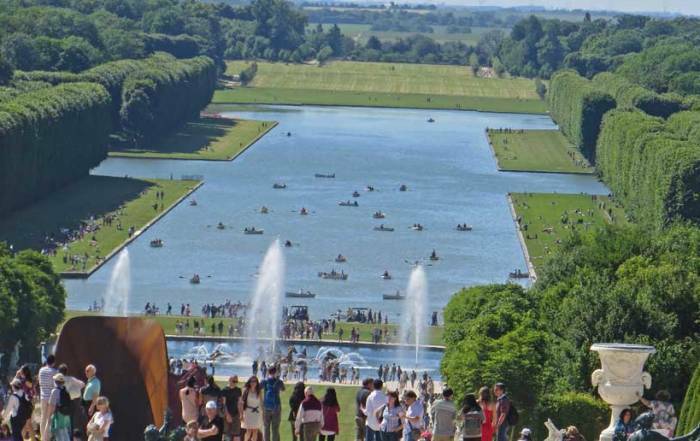 Parc de l’Orangerie – This park is extensive and includes the Pavillion Josephine and a small free zoo. The Council of Europe faces the park and the Euopean Parliament is on the opposite side of the canal from the Council. Strasbourg weather is sunny and warm in the summer. Winters are cloudy and cold. Average highs in the July and August are around 80 F (27 C), while average lows are 60 F (16 C). In December and January, temperatures hover around the freezing mark. Rainfall is slightly higher in the summer months. 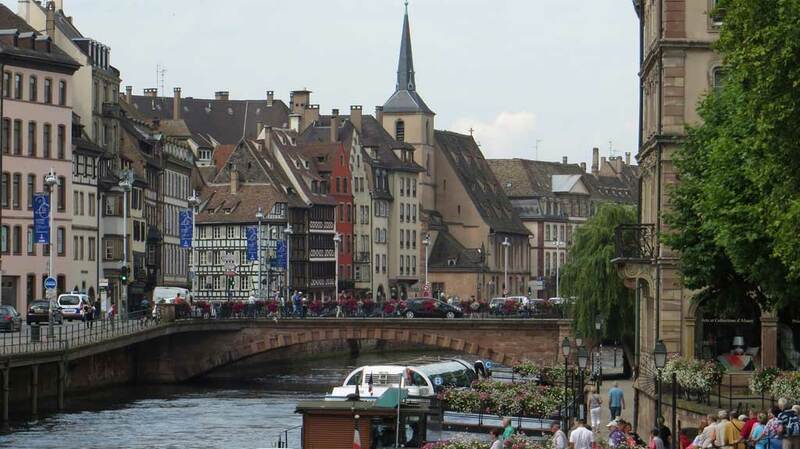 Summer is the most popular time for tourists to visit Strasbourg. You can get to Strasbourg by a number of ways. 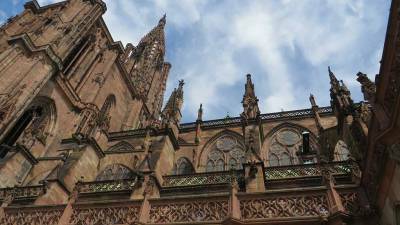 Strasbourg International Airport is about 15 minutes by rail from the downtown. Most people get to Strasbourg by train. 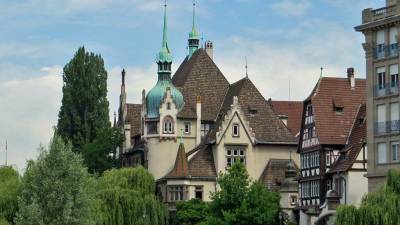 Train service runs to Basel, Switzerland (1.5 hours) or through Mannheim (1.5 hours). 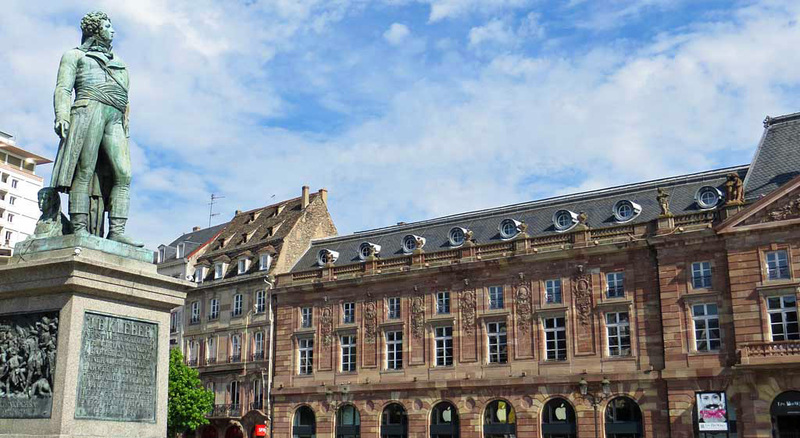 The high speed TGV system connects Strasbourg to Paris (2.5 hours) and Lyon. Strasbourg is also an important center for canal boating on the Grand Canal d’Alsace and the Marne-Rhine canal. 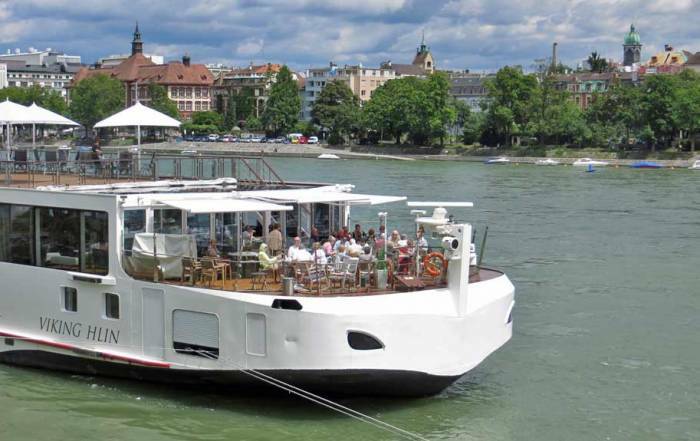 Plus it is a standard stop on Rhine cruises between Basel and Amsterdam. 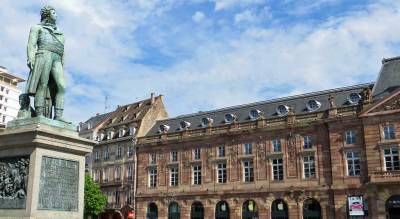 Within the city there is an excellent bus and tram system operated by Compagnie des Transports Strasbourgeois, Vélhop offers shared bikes for rent. Just under half a million people live in the city of Strasbourg. 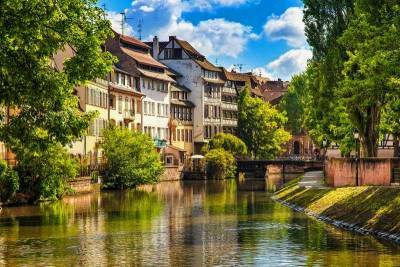 The city is in the Alsace region of northeastern France on the Rhine River. Kehl, Germany, is on the opposite bank of the Rhine from the city. With the Schengen Zone in effect, people are free to move across the border without restrictions. 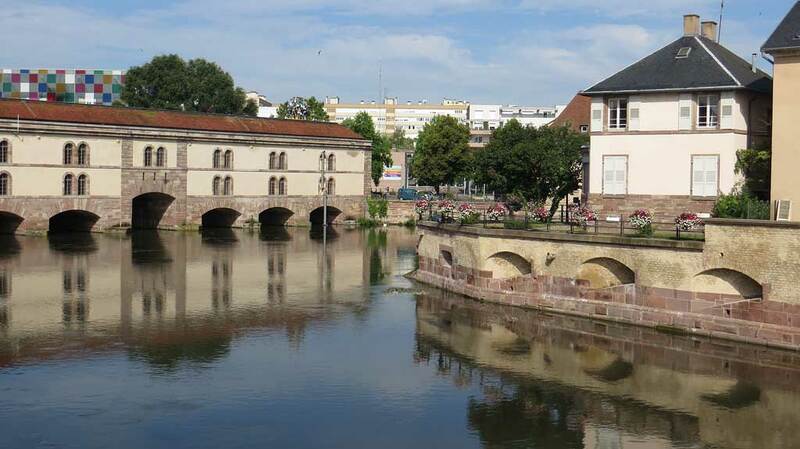 A canal encirles the UNESCO World Heritage Site of Old Town Strasbourg (Grande-Île). 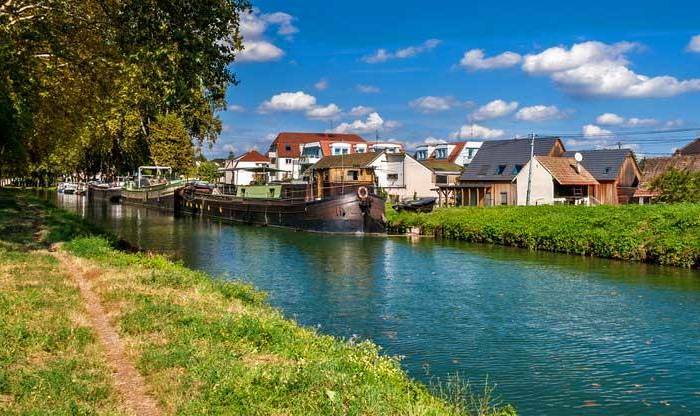 The Ill River creates the canal just before it joins the Rhine. In the 1500s the city became firmly Protestant. 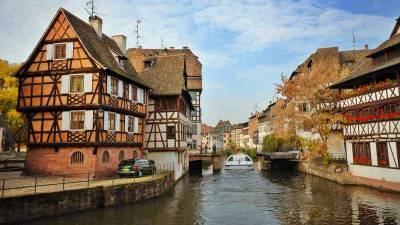 Strasbourg was almost completed vacated in advance of its German occupation in World War II.